Welcome to the Father’s Day Giveaway Event! It’s time to honor all those hardworking Dad’s with a giveaway of awesome prizes! This event is hosted by Ottawa Mommy Club and Canadian Blog House. The membership information can be found at http://www.technomuses.ca or on each of the Museums’ websites. Once you’ve had a SLOTDOG hot dog, you won’t ever be able to look at a regular hot dog the same again. For this we truly do apologize, but with all risks come great rewards, and that reward is knowing how a hot dog was destined to look, taste, and excite! SLOTDOG ensures your hot dogs cook evenly, and in less time than ever before. PLUS it’s Dishwasher Friendly! Place on top rack, with blades facing downwards. To read about a review on Slotdog, please click here! Specializing in custom wedding cake toppers, Canada’s Heather Boyd also creates beautiful and unique wire jewelry, bookmarks, and sculptures. Heather has designed wire art for clients including the National Gallery of Canada and the Museum of Fine Arts in Montreal. You can read more about Heather’s amazing work, and her website Heather Boyd Wire, in a review by Canadian Blog House. 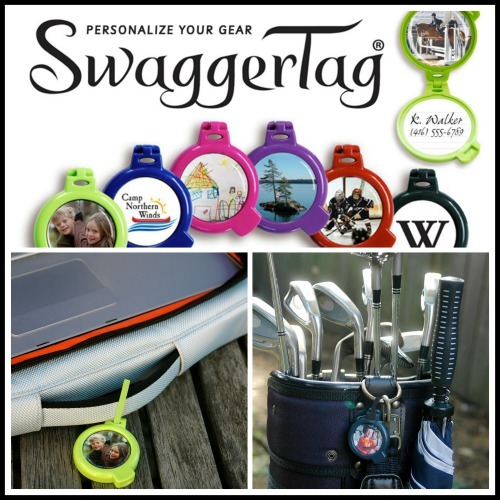 Add a little swagger to Fathers Day by accessorizing with SwaggerTag ID Tags. Great for personalizing & identifying Dad’s golf bag, sport duffle, computer case, luggage, briefcase, or other gear! Be sure to check out the SwaggerTag review on Canadian Blog House. Someone loves her SwaggerTags! Men will fall in love with these NAKED Underwear made from the finest micromodal fabric that is softer than silk! Wearing NAKED underwear is like wearing nothing at all! The great folks at NAKED Underwear were sponsors at the 2014 BConnected Conference…and judging by the buzz created by attendees who were lucky enough to score a pair of NAKED Underwear…men AND their ladies love these amazing undergarments! Rules: Open to Canadian residents 18 +, except Quebec. You have 48 hours to reply by email once you are notified as the winner. If you don’t, we will draw another entry. Prize is non-transferable. No substitution or cash equivalent of prizes is permitted. The selected winner must correctly answer a mathematical question in order to win the prize mentioned above. The Ottawa Mommy Club and Canadian Blog House is not responsible for prize fulfillment and for the delivery/shipment of the prize(s) mentioned above. For our complete set of rules, please click here. The Future Shop gift card would be awesome to win…hubby loves to buy electronic gadgets. The Dad Racing Biek because it’s perfect for my DH who cycles to work year round and does triathlons. Definitely the future shop gift certificate! To be put towards his favourite toy – video games. I would particularly like to win the Future Shop giftcard. There are always things there my husband finds that he likes…movies, music, games, and electronics! Gift card for Future shop so he could get what he wants. Just about any of them, but the Future Shop gift card would be awesome! He would love the Future Shop gift card! While the Futureshop giftcard would be amazing, as my dad wants some new speakers for Father’s Day/his Birthday (which are on the same day), I’m actually most excited about the museum passes! He and I are passionate about the pursuit of knowledge, and to be able to visit museums (particularly the aviation museum) would be most exciting for us! Thanks for offering this amazing giveaway – I love your site! I would pick the Future shop gift shop. I’d like to win the Future Shop most because it’s probably the only prize he’d use. He’d be super stoked to get it!! The Future Shop gift card would be great! I would like the gift card of Future shop because He can choose what he wants. The $100 Gift Card from Future Shop because he is wanting something from there for a long time! I would love the gift card to Future Shop to buy Dad a new digital camera! I would love to win the $100ift card to future shop. I think he would love being able to pick his own. I would LOVE the museum pass. That would be awesome! Future Shop gift card, since my husband loves his gadgets! The future shop one because that is what he would want most! 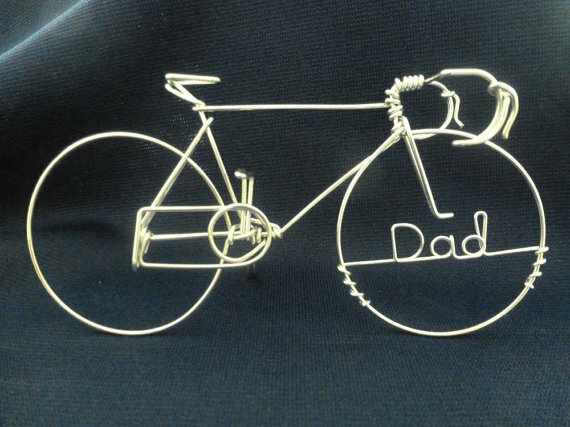 It would be great to get the Futureshop gift card, but I am in love with Heather’s wire work! Her pieces are amazing! I would love to win the Future Shop gift card because then my husband can go buy what he wants. The Future Shop gift card. I can think of a few things my hubby would love to spend it on! I would like the Future Shop gift card. My Dh needs new headphones. Would like to win the $100 Gift Card from Future Shop so my Dad can get himself some new tech gear. The FS gift card would be great! I would love to win the museum passes! We love to go to museums. museum membership – can keep going back for more! I would love to win all of these but the museum passes have got to be the best for our family! The future shop card so he can put it towards a new tv. The future shop gift card. Hubby wants an iPod. I want to win the Tencel Boxer Briefs most. My husband could use a new pair. Future Shop GC so he can start his work to finish the basement gadget shopping. The underwear! They are honestly THE best undies around!! $100 Future Shop card because the DH would buy some new speakers! The museum season passes! What a great way to spend some quality bonding time together! I’d love the future shop gc!